Payment of the 10% deposit can be made by credit card and we do not charge credit card fees. The balance will be paid directly to the property owner/provider subject to the payment method requested. 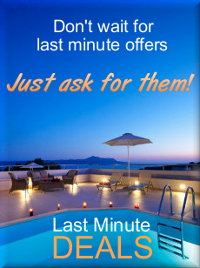 Choose a villa from the Offers list. You will now find a selection of villas that are recommended for a variety of reasons such as special price, excellent villa, outstanding facilities, excellent location, late addition etc. We have set certain standard to be met by the property in order for it to be included in the luxury selection but ultimately we do rely on the owners/provider’s information. The price asked will reflect the overall quality of the property, however, we urge you to clarify with the owner/provider the precise features of the villa before booking and agreeing the booking. 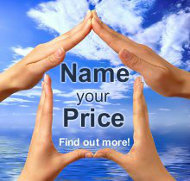 We do strongly advise you to clarify with the owner exactly what is included in the price before committing yourself.